A rhizome is a modified subterranean diageotropic stem developed from axillary buds that retain the ability to give rise to a new plant. The presence of rhizomes in soil favors the growth of various microbial communities in its rhizosphere; some of the microbes enter inside rhizomes and survive as endophytes. 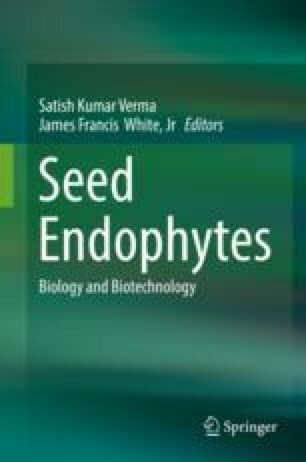 Currently endophytic microorganisms are gaining attention by researchers due to their capability to synthesizing novel bioactive compounds that are useful in disease management of phytopathogens, and some of these compounds are important in novel drug discovery. In the sustainable agriculture, many of the bacterial and fungal endophytes are used as plant and soil inoculants to enhance yield and productivity of crops. The use of endophytes as biofertilizers is eco-friendly and has no adverse effects on the climate, or texture and productivity of soils, unlike chemical fertilizers. Microbes are relatively unexplored from rhizomes of various plants including medicinally important plants. These endophytes may be important biofertilizers, biocontrol agents, and agents for biotic or abiotic stress management. Authors thank the University Grants Commission and CSIR, New Delhi, for fellowship in the form of JRF and SRF.